You are going to Watch Naruto Shippuden Episode 313 English dubbed online free episodes with HQ / high quality. Stream Anime Naruto Shippuden Episode 313 Online English dub Rain Followed by Snow, with Some Lightning. As the shinobi stationed where the sealed Dan Katō is battle the remaining factions of the White Zetsu Army, it suddenly begins raining on the battlefield. Shikamaru spots a shinobi amongst the White Zetsu clones and wonders whether it was yet another reincarnated shinobi. Joined by Chōji, and Ino the trio are shocked to see the familiar face of Yota whom they had met when they were younger. 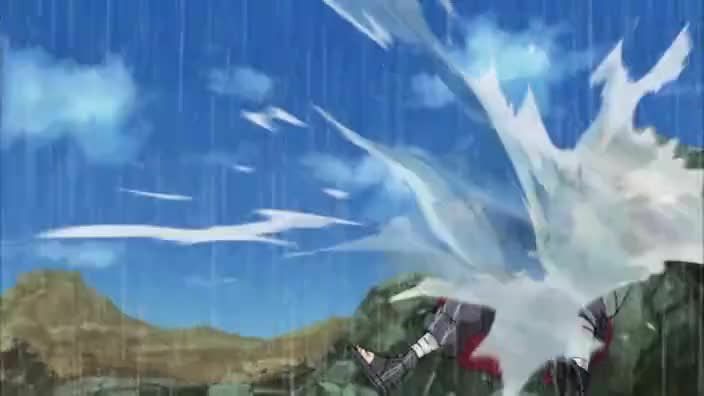 Elsewhere, at the Logistical Support and Medical Division, Sakura also confronts Yota, around whom it is snowing, Kiba and Akamaru also encounter Yota as well, this one, however, creating lightning storms. As each group remembers their time with the young man, they formulate a way to defeat him on the battlefield. Elsewhere, Naruto who is making his way to the battlefield, notices the three different weather phenomenons happening in the different locations and wonders just what is going on.